Moving for the first time? Quicklets provides helpful tips and tricks to help make the move worthwhile. It’s easy to feel a little overwhelmed when you move into your first apartment. You may find yourself staring in dismay at the piles of boxes accumulating in your living room or suddenly feel like you’re swamped by the sheer amount of paperwork. You may even start wondering… Is it all worth it? This article is designed to break down the process of moving into bite-sized chunks, offering handy tips and tricks along the way to make it easier for you to make your first move. So whether you are moving in your home country or moving abroad for the first time, we are here to help make it all worthwhile. We all have big dreams about how amazing our first apartment will be. Whether it’s because we are breaking away from home for the first time, or making the decision to move somewhere sunnier, expectations tend to run high. However exciting this process is for you, it may not be in your best interests to place such high hopes on your first apartment. Finding the perfect place is all about finding a balance between the things that you want (like an indoor pool or Jacuzzi) versus the things that you need (like proximity to your workplace or working electricity). One of the ways of dealing with this difficulty is to make a list of all the things that you need and want in your new place. Then, choose the top three most important qualities. These things can be anything from being near public transport if you don’t drive to the number of bedrooms that you require. After that, you can choose the extras that you want your apartment to have according you your budget. If you are moving abroad for the first time you would do well to consider your location very carefully. For example, if you are moving to Malta for work then St. Julian’s, Sliema and Msida are all popular destinations. However, if you are moving to Malta in your retirement then you might consider setting up house on the quieter island of Gozo. Oh, that dreaded word… but as much as we hate it, it is a very necessary part of moving. 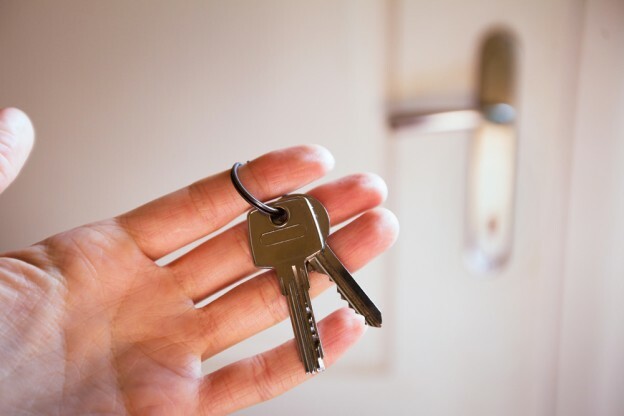 If you are moving for your very first time, then there may well be a few things about living in rented accommodation that you aren’t aware of. Aside from your tenancy contract, you will also have to consider things such as electricity, gas, water, and internet, all of which are not included in your rent payments. Not only will you have to budget for these additional costs when you think about how much you can afford to pay in rent, you will also have to set up the payments yourself. This is your responsibility – not your landlord’s! If you are moving Malta from a different country, then there are other crucial pieces of paperwork you also have to consider. If you are not and EU citizen, then you will have to apply for a visa as well as a Maltese ID card after your arrival in the country – this will make applying for a bank account far easier! Finally, the big day has arrived, the paperwork is signed and you’re about to move into your dream home – what next? The first thing you should do is clean. This is one of the few times that your apartment will be totally empty – so take advantage of it! The second thing is – have a plan! Make sure that you have paid all your utility bills in advance to make sure that you don’t move into a cold apartment with no running water or internet when you arrive. If your rented apartment is unfurnished, then it would also be a good idea to order your furniture to be delivered early as well. Moving is never going to be an entirely stress-free process, but with these helpful tips and tricks you’ll be able to gain from the experience and make moving into your dream house truly worthwhile. Insiders tip: To avoid any misfortune on the day of the move always make sure you pack a box or bag of essentials, such as towels toilet paper and soap, and carry it with you as hand luggage in the plane or car.